I hope everyone had a great break during the festive season. Well, I did and had plenty of food to enjoy. 🙂 Japanese food and sushi are also on my table and list to try. 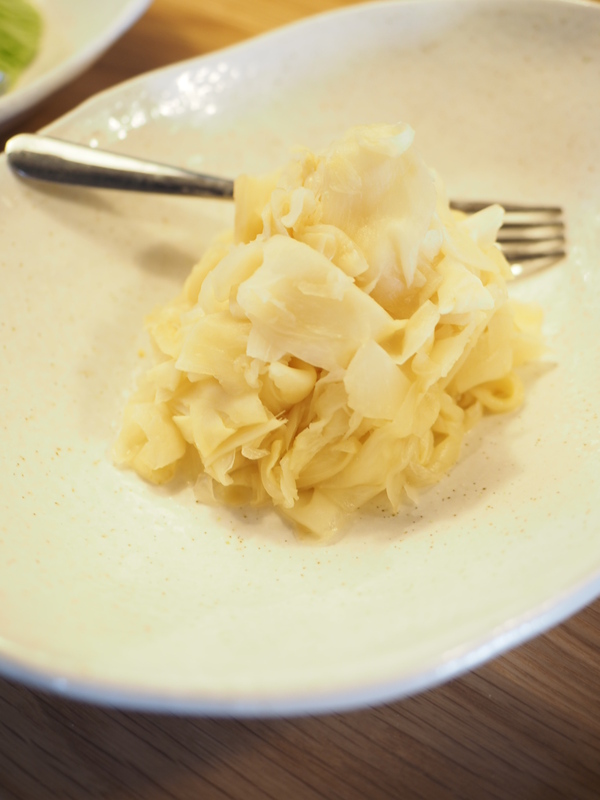 There was a new sushi eatery opened its door in Adelaide last week. 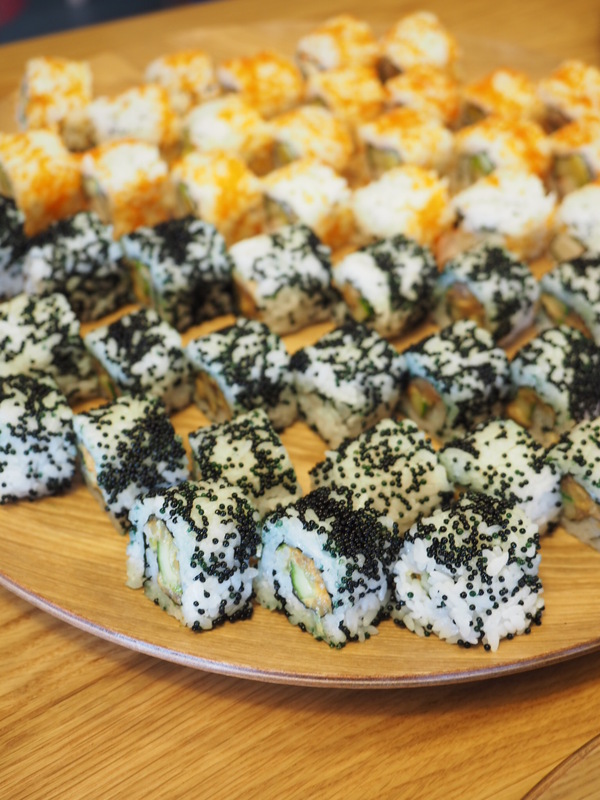 Sushi Planet, the only contemporary sushi bar in Adelaide, launched their service on Jan 22 on West Tce, serving traditional made-to-order sushi as well as yakitori dishes, all using freshest produce. 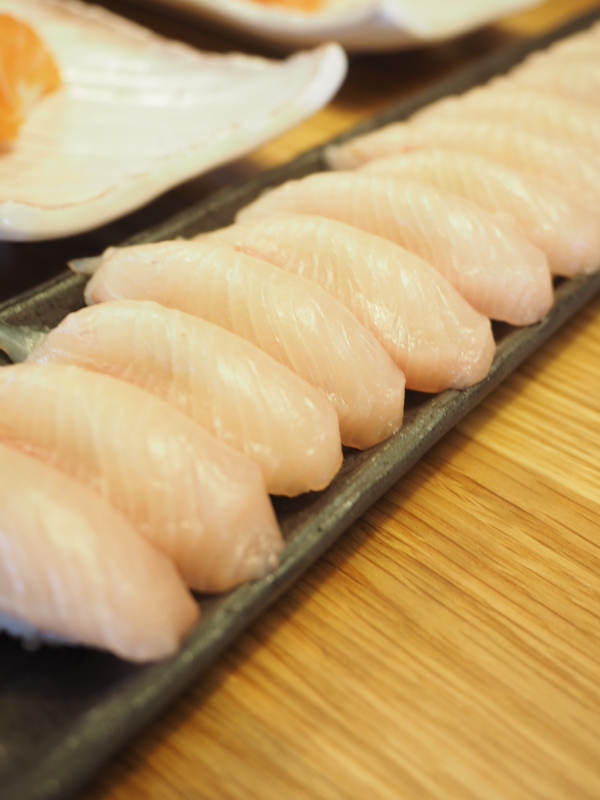 Diners can expect to enjoy all the classic Japanese sushi dishes as well as some creative yet delicious options. Their full range of sushi can be viewed here. 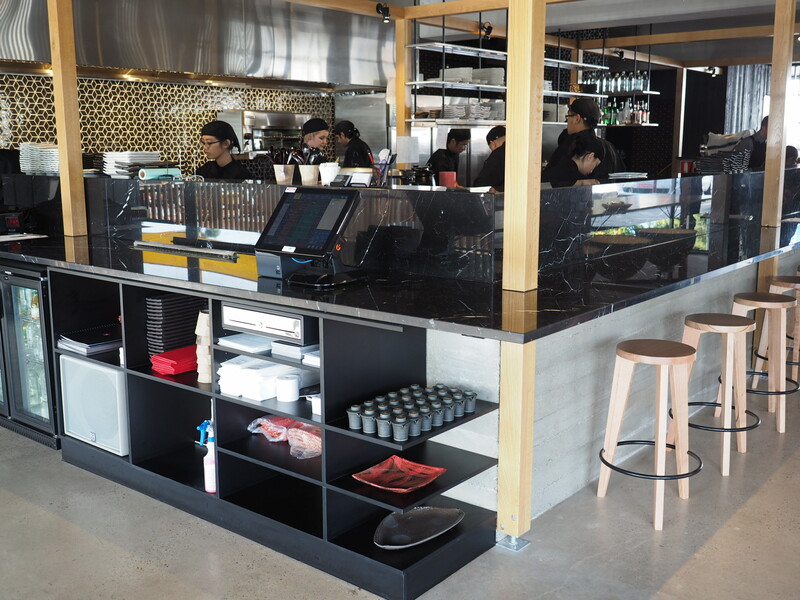 The new eatery did not only expand the sushi choices in Adelaide, but also brought in the first proper contemporary sushi restaurant. Their Executive Chef, Bryan Castillo spent the last 8 years working at European’s famous and fast growing sushi chain, Sticks’n’Sushi. 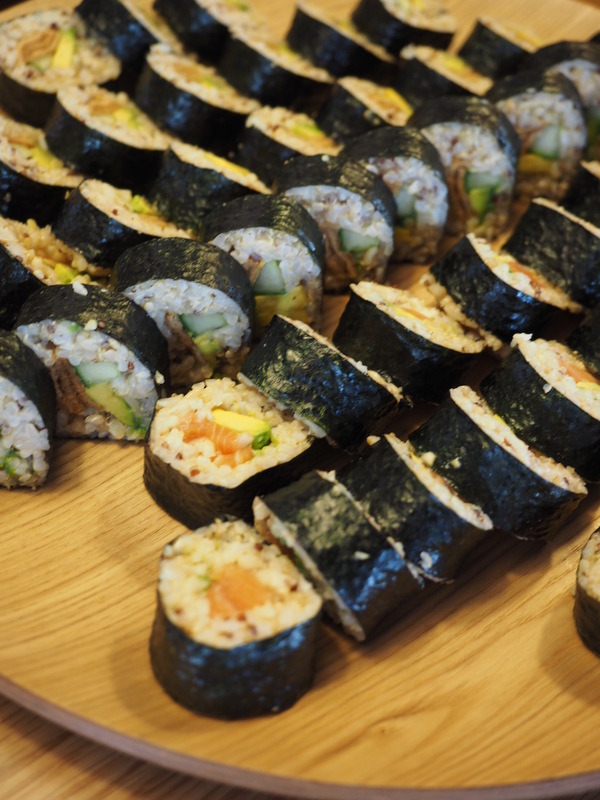 We were invited to attend Sushi Planet’s grand opening party to sample some of their sushi varieties on offer. The restaurant is located in the corner of West Tce and Waymouth St with both indoor and outdoor sitting areas including a section next to the large open kitchen for diners to enjoy the freshest possible sushi while watching the chefs busy with their culinary practices. The restaurant also makes fancy cocktails and other alcoholic drinks. The best part of the restaurant is that if one is too busy to pick their dishes up, they do delivery to a wide range of areas absolutely FREE. Refer to the map location on the delivery area. The restaurant opens 11:00AM – 2:30PM and 6:00PM – 10:00PM, 7 days a week. All the salmon varieties served on the night were very tasty and delicious. They are authentic with both traditional and innovative flavours. 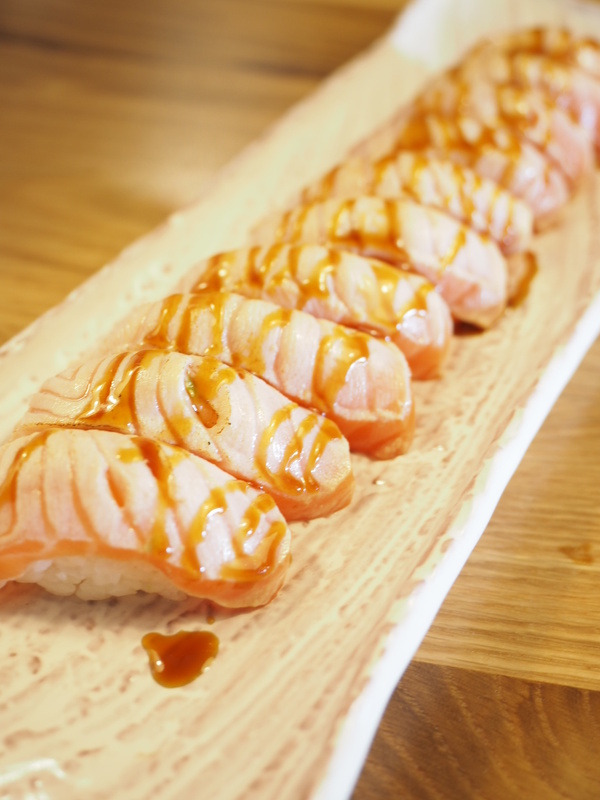 Although the number of sushi fast food outlet is Adelaide has increased dramatically over the last few years, many of them only make the so-called sushi to look like a sushi but the tastes were miles away from good sushi restaurants. 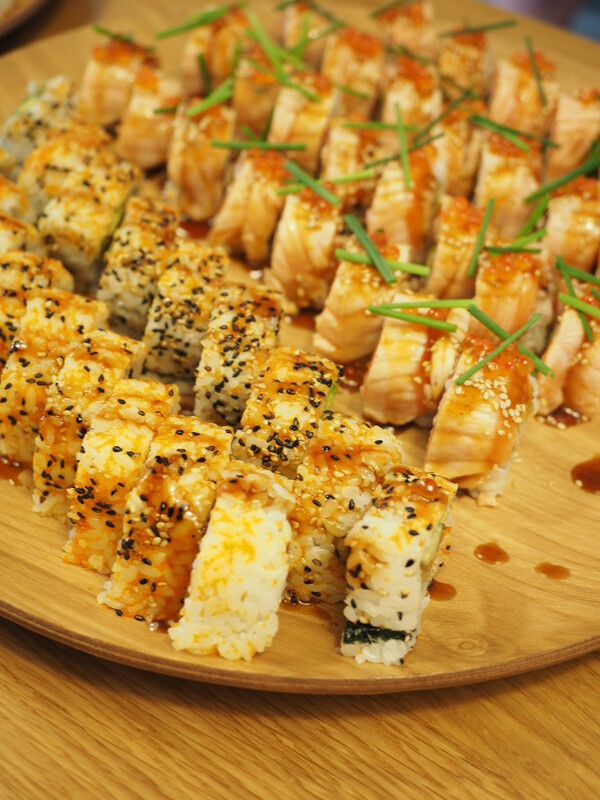 Now, with the open of Sushi Planet, Adelaideans can enjoy high end restaurant grade sushi at their work or during their lunch break – all at affordable prices. Because the sushi pieces were gone, literally, very fast, we had to hang around the serving table to try to snap some photos. Having said this, I still did not get a chance to catch any yakitori skewers, but I was quick enough to grab a yakitori chicken and yakitori beef to enjoy myself. The beef skewer were grilled to perfection with truffled butter on the top which melts on arrival in diners mouth. What a masterpiece! 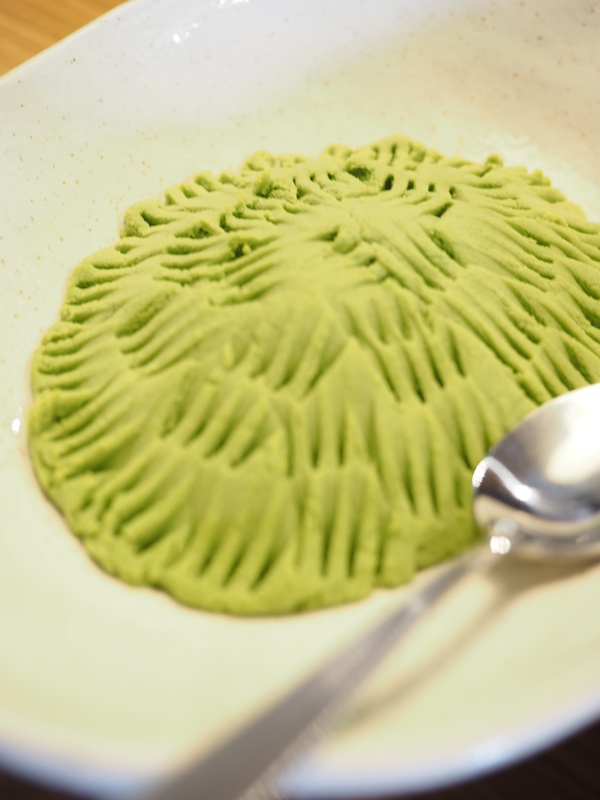 Unlike many other sushi joints, the wasabi in Sushi Planet were freshly made to be mixed with soy sauces. 12 years ago while I was working in one of the top Japanese restaurant in Adelaide, all wasabi are handmade this way and you do tell the difference on taste. Would I go back? Of course and no doubt to enjoy the top grade sushi at Adelaide’s newest contemporary Sushi restaurant. I still have plenty of their sushi untried – so Tina and myself are prepared to see ourselves back soon. Unfortunately, they do not deliver to Marion, otherwise, I would have them very very frequently at my comfortable sofa! Maybe you can try too and ask a couple of friends to waste a good Saturday or Sunday :D! Thanks for this post ~ I’ll be going there next week. What a treat for Adelaide ! What a treat! I will head there next week. Can’t wait! These look absolutely divine! 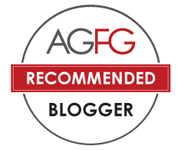 I tried them this week and man, the best we ever had. The only downside was the car parking and long wait. Yeah, not sure what happened. Their prices are high! Sushi train can be a good alternative. I havent been to sushi train for about 6 yrs. 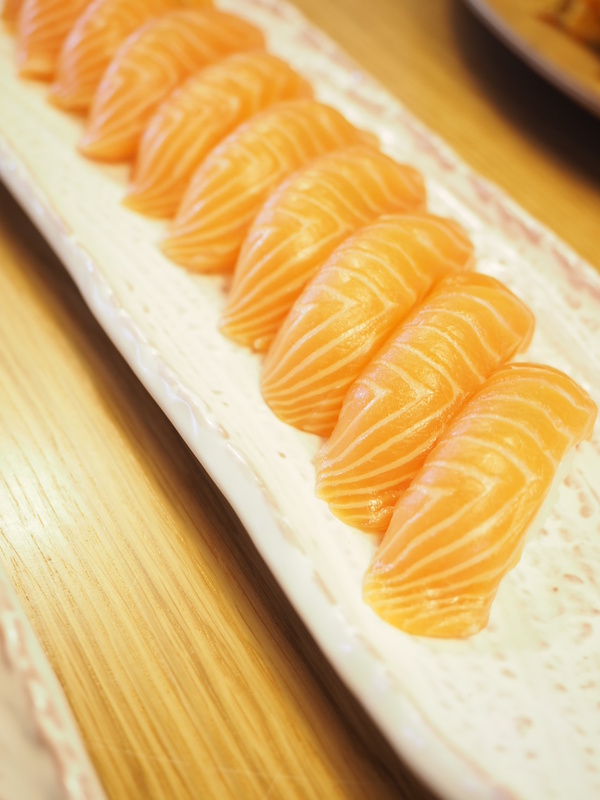 For students, sushi train can be a good alternative but how about their prices now?